Bought this amp at an estate sale in LA along with an ACT-1, L11 line stage, and 2 Chanel Acurus amp. The equipment was for home theater and growing family. Pretty good amp but runs very hot and nearly started a fire. It cost $100 to replace all the bad parts and $50 for labor. These are Oahu prices and at a deep "Ohana" discount. If I was on the mainland I would have just sold it on Ebay or tossed it. Sounds great after the repair but still runs hot compared to our Bryston. Old and runs hot to the point of failure. Looks good if you like industrial minimalism. Very powerful. 3 channels is the coolest in convenience! I can see why Acurus went belly up. Sound is course and unrefined even for a home theater amp. Poor isolation between the 3 channels. As others have said, its not a good music amplifier. Because of its age, servicing may be a problem. I'm an engineer and ended up replacing a lot of the old parts for reliability about $40. A local technician (in Los Angeles) wanted $150 plus $220 for cost of parts. This amp is heavy and has a lot of sharp corners so be careful when moving. 3 channels in a smallish chassis is nice. 200 Watts is enough to drive most speakers except the most demanding. Repairable. Build quality is mediocre and even worse than Adcom. Crosstalk is terrible and sometimes channels bleed into each other. Noisy and not really suitable for a HIFi audio system. Expensive for an old amplifier. Bought this one off eBay for my home theater system. I guess I should have set my expectations lower. Looks can be deceiving. Looks like a tank, but it's not. Sound is a little coarse. If you find one in good condition physically, expect noise and a little distort compared to other similarly priced amps like Adcom. After servicing these are ok but make sure your repair shop is using good parts from Japan, Taiwan, or Europe. The bipolar transistors are no longer made so it's a hassle to fix. Good news is, there are much more durable and better sounding bipolar substitutes if your repair guy is up to the task. If I could do it again, I would just go higher end and get a used Krell, Threshold, Mark Levinson, etc. It would have cost only a little more and I wouldn't have to go through the hassle of servicing. There were at least two models of this Amp. I own both. You can determine the model by faceplate and serial number. The components in the newer model are much improved but unfortunately both are utter and complete guano. I recently bought a broken unit to cannibalize parts for repair. There are much better sounding vintage amps like the Adcom 200 watt amps and the rare 100 watt Hafler and McCormick amps. Heck, this thing is basically a PA amp in sound quality but without the reliability and speaker protection. Bought two of these new almost 15 years ago but have only used these for the past two. Good home theater amps while they worked, but like many other people have found....these are unreliable. Mine blew fuses and the bias drifted quite a bit. Didn't have time to fix it myself so had a service tech check it out. The parts he pulled from this amp are poor quality to say the least. Looks like Acurus decided to place the bulk of the cost into building an oversized chassis. I eventually replaced all the power supply caps with longer life/high heat specifications as well as 20 resistors. The repair cost me a total of $200 for two amps. Not the most transparent amp, but if you need a 3 channel this can save you some space and money. The Acurus 2 channel A200/A250 amps sound worlds better and have less distortion if you only need 2 channels. Of course this would only apply to the used amps. The current Acurus products are an entirely different beast. I've owned 4 of these over the years, more for the value and 3 channels than sound quality. It's good for limited space and HT setups, but terrible on most music. 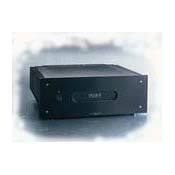 The a250 two channel amp sounds better and is more stable than the a200x3. I probably wouldn't buy another one unless it was under $150. These things always need servicing. Sound: what goes in is what comes out. If you put in garbage expect a heavily amplified dose of garbage out. Power LED blinks on and off. I upgraded to this unit in the hopes of balancing out the power to all five speakers and gaining the ability to run the surround speakers in full mode. This unit does a marvelous job of controlling whatever speaker load you throw at it. The sound is great for the money and even though the company was absorbed by Klipsch, the technicians still stand behind this product. The killer is that it play with the most subtle delicacy, then wake the city block with no strain. Built like a tank, endless amount of power. Way too bright,high pitched sounds at louder levels were painful,even with older bass-reflex type speakers. Borrowed this from Simply Stereo, Hoffman Estates, Il. These guys are great, thanks again! Tons of power and great build quality, but very bright.When listening to brass instruments the sound was harsh and fatiguing.